We’re applauding the government on the plastic ban. And while we’re supporting it all we can, we’ve found Eco Bags, a store in Pimple Saudagar that offers a range of cute bags that are eco friendly. So bid adieu to plastic and use these lovely alternatives instead. Eco Bags is the brain of Monika Rathi Maru, who gets the bags made and trades in eco-friendly alternatives to tableware too. The small store doesn’t only cater to the retail market, they also are open to wholesale orders and mostly delve into corporate orders. The cotton bags at the store are made by rural women in Maharashtra. They have quaint designs, some are more contemporary than others. And, you’ll find something in every size. The jute bags come in from Kolkata, from Maru’s brother’s factory. As the material is more readily available there, the bags are made faster at a lower cost. You can find cool bags to carry to the market, stick some up for when you’re going out shopping or but a few that’ll work great to put presents in or to use as tiffin bags. We love the narrow ones, which would easily fit in a bottle of wine and the foldable ones, which can sit in your purse to pop out whenever you need it. They also have reusable tableware made of sugarcane fibre. You can buy plates, bowls and everything you need. And, they are microwaveable as well. While they may not be as cheap as your regular thermocol or paper plates, they’re definitely a lot more eco-friendly. 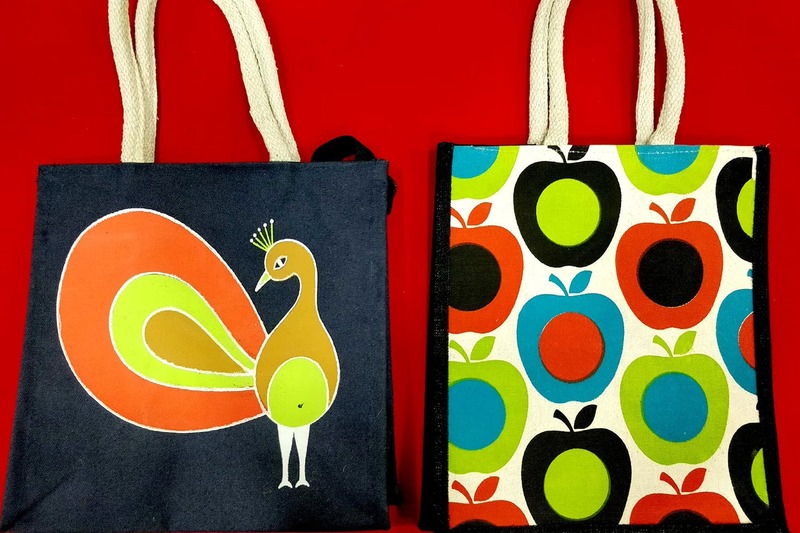 The bags start at INR 10, for simple cotton ones and can go up to INR 250 for purses. The disposable sugar cane fibre tableware can cost INR 10 per plate. We’d love to see backpacks and cute purses too to carry around casually. Buy cute cotton bags to carry lunch to work.